Gold Medal Park is a great place to observe the sunset behind Minneapolis. It's fitting that our final "gateway drug" of Bike Month is sunsets, as they provide a certain closure. 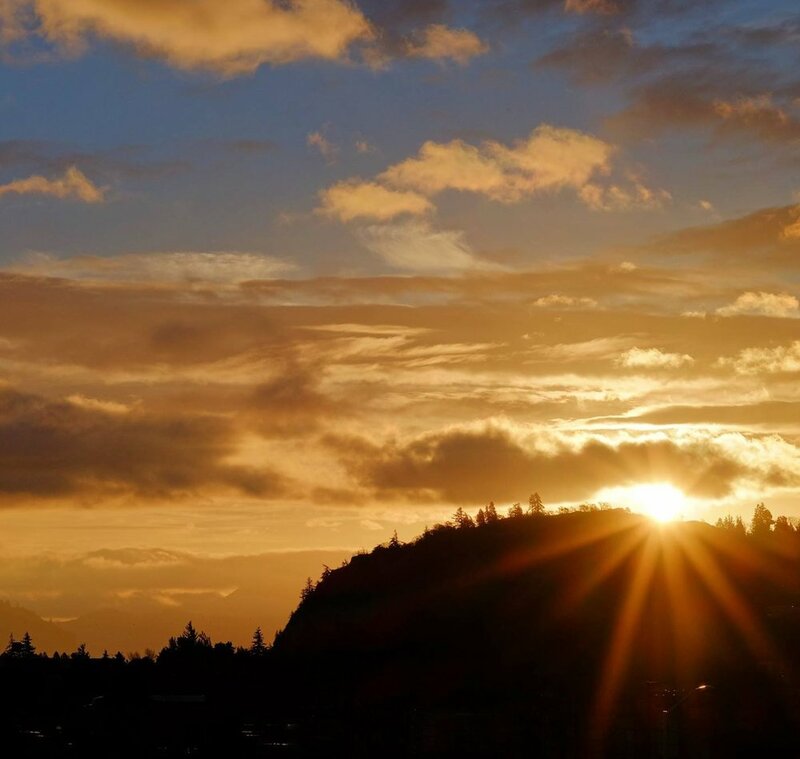 One of our favorite things to do in new cities is find the best sunset viewing spot, which is why we have a blog post, "14 Sunsets Where Bikes are VIP Passes" (same goes for firework shows!). I hope this photo essay helps you convince your mom, friend, colleague or maybe a future sweetheart to take a fun bike ride with you. Mmmm, caffeine. Sipping coffee while you bike isn't that hard with an upright bike and we guaranty it will slow you down on your commute (a good thing). 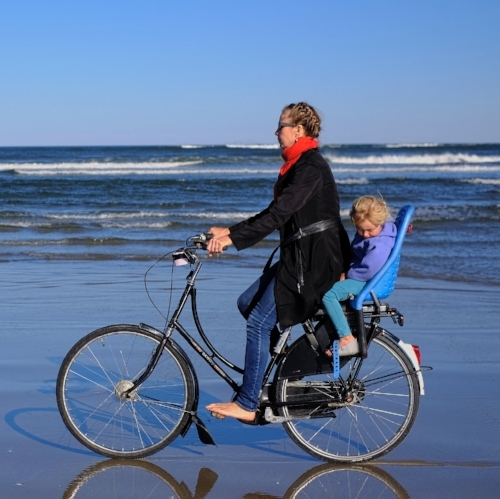 You know riding to the beach is popular when a type of bike is designed for it: the cruiser. Beat the traffic and carry your belongings easily to the sand with your bike. Hair of the Dog Brewery in Portland is always packed with bikes! Using your bike to drink beer is like using chopsticks to eat sushi. Sure, there's a faster way to consume, but the experience is magnified by the chosen delivery. And the beer industry has taken notice with ample bike parking and the proliferation of cans, which are much easier and lighter to carry by bike than glass. 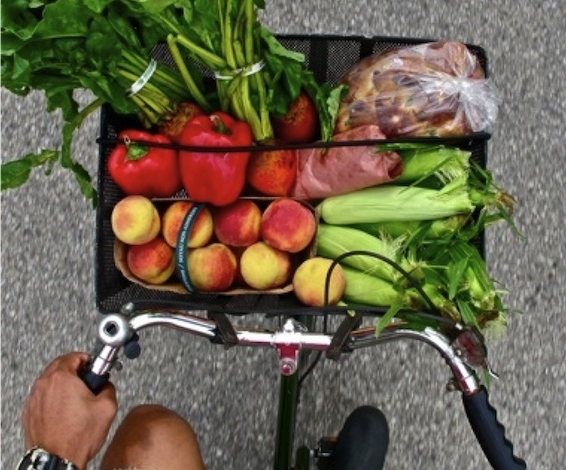 Did you know your bike doubles as a shopping cart at farmer's markets. Being mindful of crowds, simply roll your bike through the vendor stalls and stuff your basket and panniers with produce and local food. Tweed Ride bike picnic. Photo by Massif Central blog. Bike picnics are like an outdoor culinary VIP pass. There's something so special about throwing provisions on a bike, riding to your favorite outdoor spot and setting up a meal. We get some thumbs up from strangers when we load our Weber Go-anywhere grill on our front bike rack, "well, aren't you prepared." 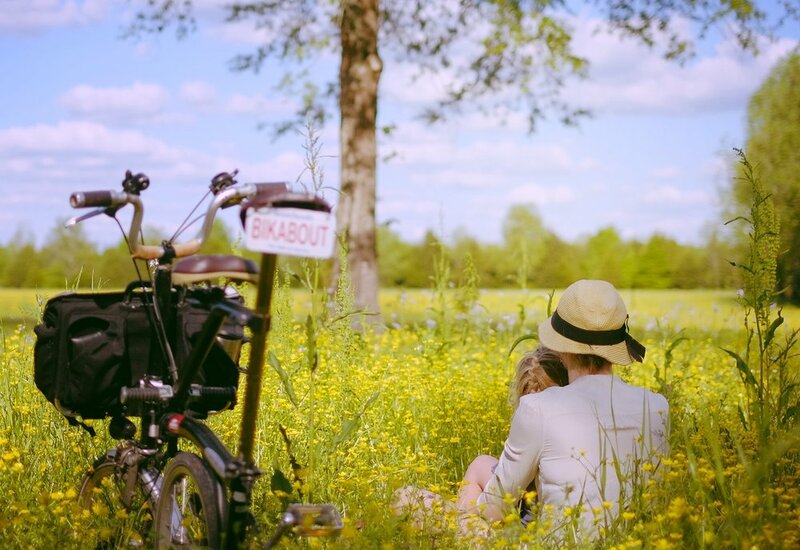 If you haven't done a bike picnic, it's a must do, and here's 10 Must-Haves for a Perfect Bike Picnic. 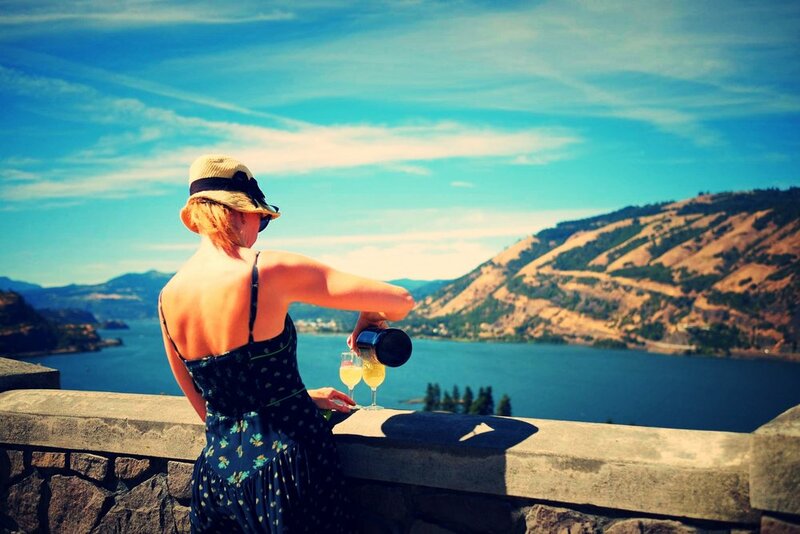 Stow a bottle (or box) of wine and a couple glasses in your basket or pannier and uncork that baby when you get to a beautiful spot. You'll never feel so civilized and people will be mad jealous. If you're ever needing a pick me up, take a bike ride with your dog or borrow one from a friend. Nothing generates smiles from strangers more than seeing a dog on a bike! 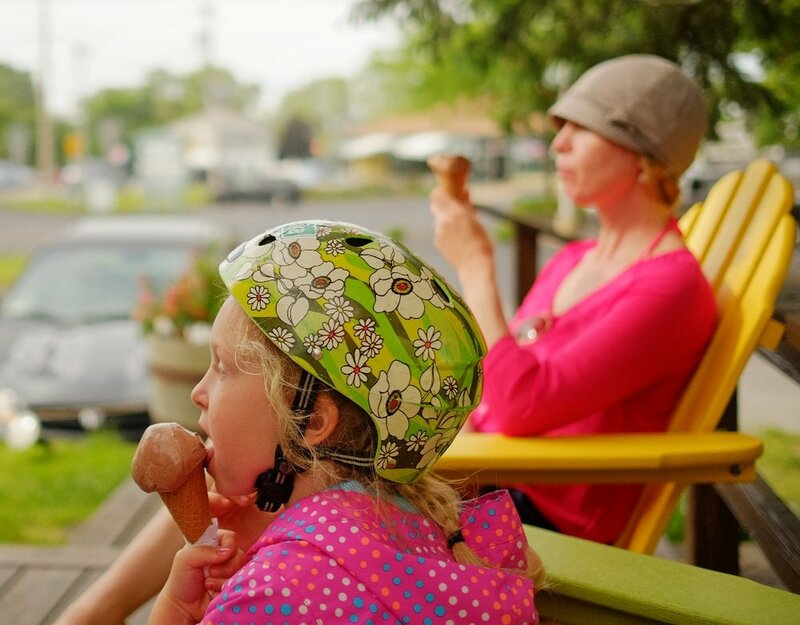 Whenever I ask people what they look forward to most in a bike ride, it's overwhelmingly ice cream. May 22nd is Harvey Milk Day! Painting by Hugo Kobayashi. Photo by Luke Thomas. 2017 will be the year that our activism spirit woke from a slumber. Pick a cause, and there will a march or protest, and biking there remains the most convenient way to join the masses (and to show your independence and resiliency). 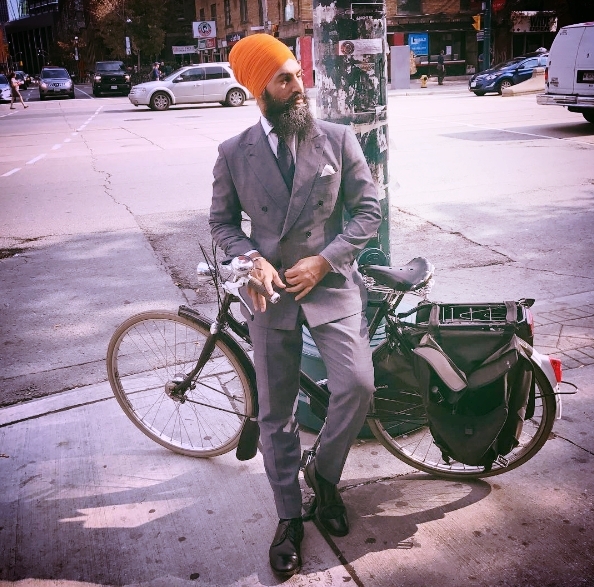 Riding a bike is also the easiest way to vote for better biking infrastructure. When political leaders see large numbers of diverse people biking, they take notice. 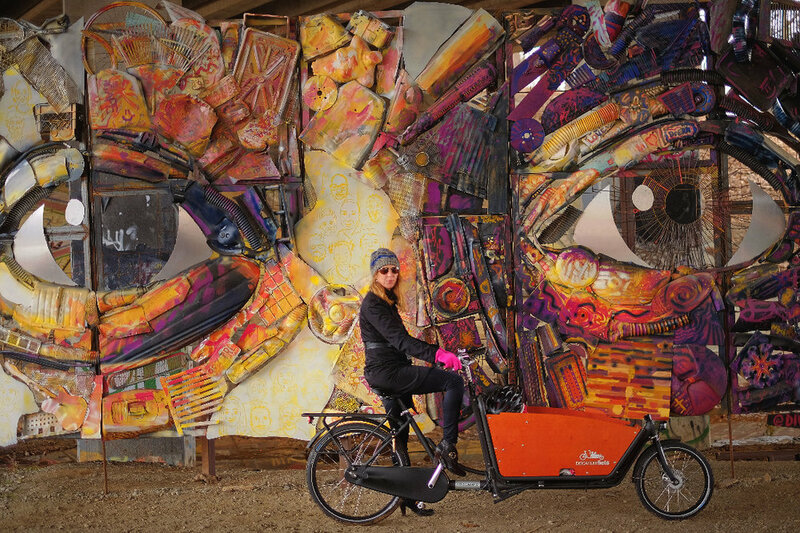 As recent transplants to the Pacific Northwest who, when faced with the hills, had to promptly sell our Workcycles bakfiets and FR8 and buy an Urban Arrow and Pedego Ridge Rider, we understand that electric bikes are a viable substitute for car trips. We challenge any ebike virgins to ride one, and don't you dare smile. Hole in the Wall Falls off the Historic Columbia River Highway trail. 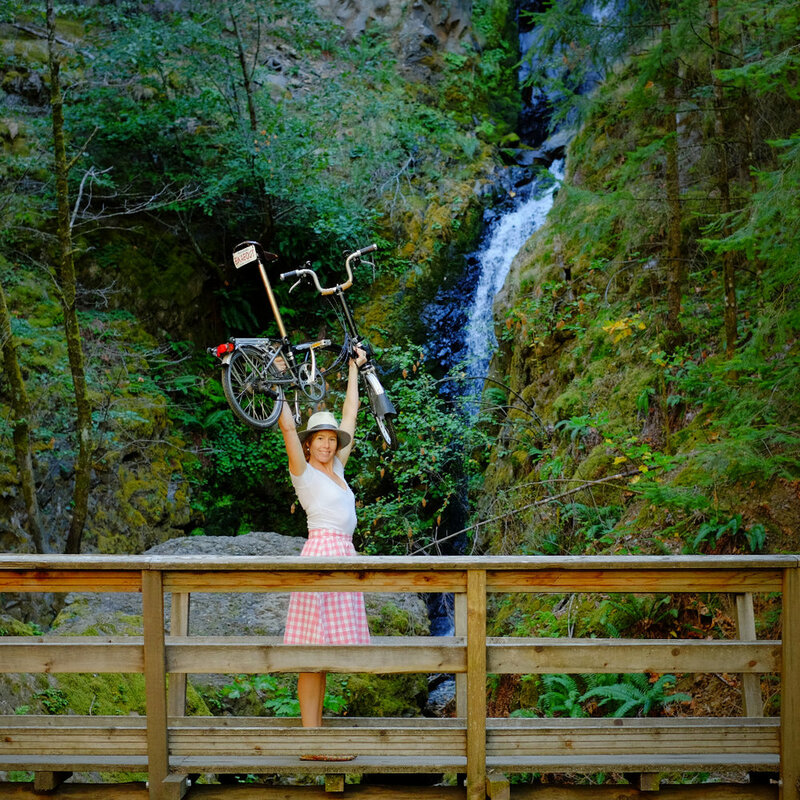 Not everyone can find a waterfall in your back yard, but maybe choose your next travel destination (hint, Columbia River Gorge) based on bikeable waterfalls! Happy National Bike to Work Day! At the beginning of the day, arrive to work feeling refreshed, and at the end of the day, ride off any stress. Here is a beginner's guide to biking to work including tips on choosing a comfortable route and dressing. Happy International Museum Day! 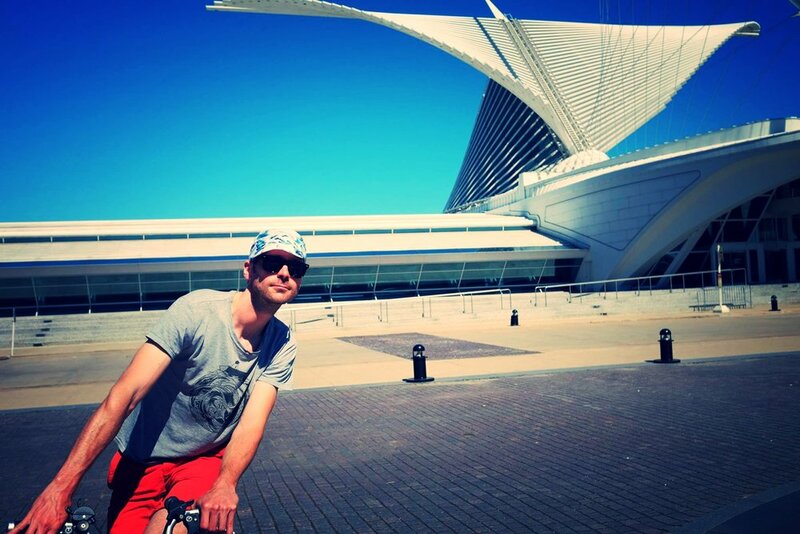 Bike to your local museum or one of these 9 bike friendly museums! 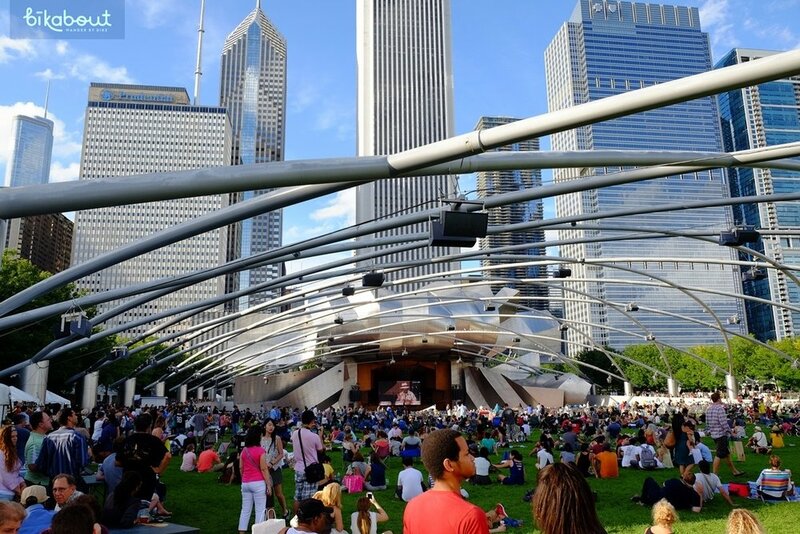 Riding your bike is not only the most enjoyable way to get to a music festival or concert, it's the most convenient with nary a worry of parking or traffic. 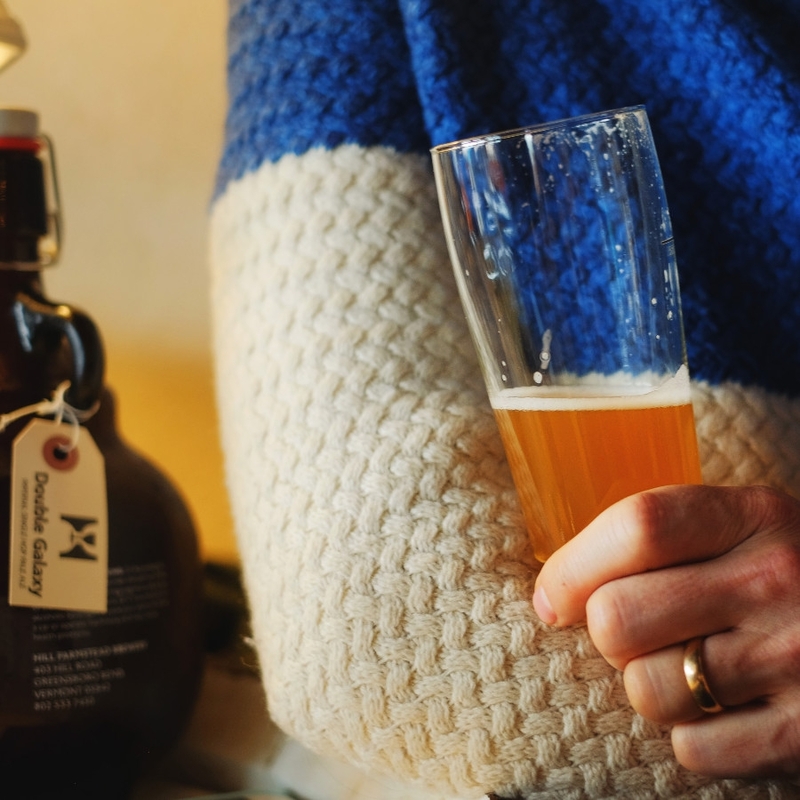 Sipping on cider is a refreshing way to take a break or finish off a bike ride. 5 on a bike with 1 trailing. 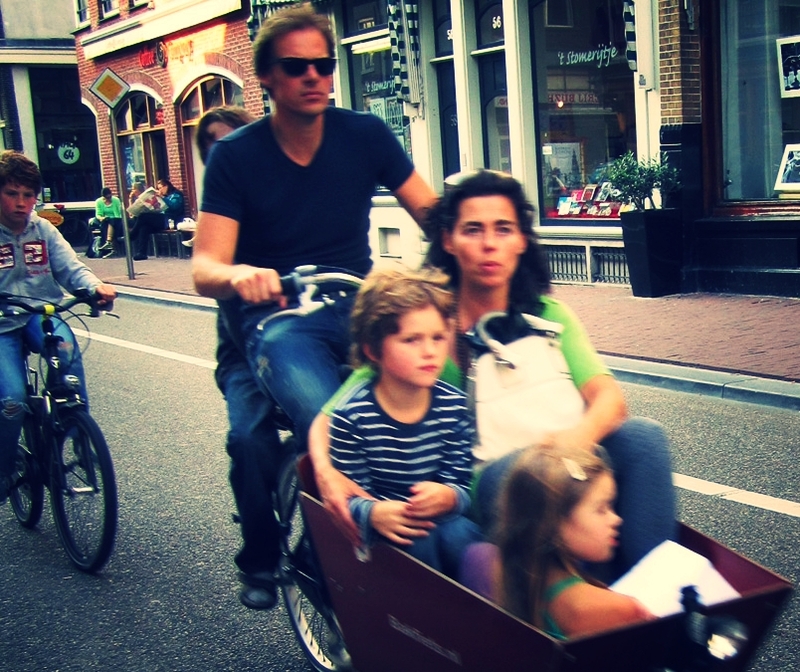 The Netherlands are family biking professionals. Happy International Day of Families! 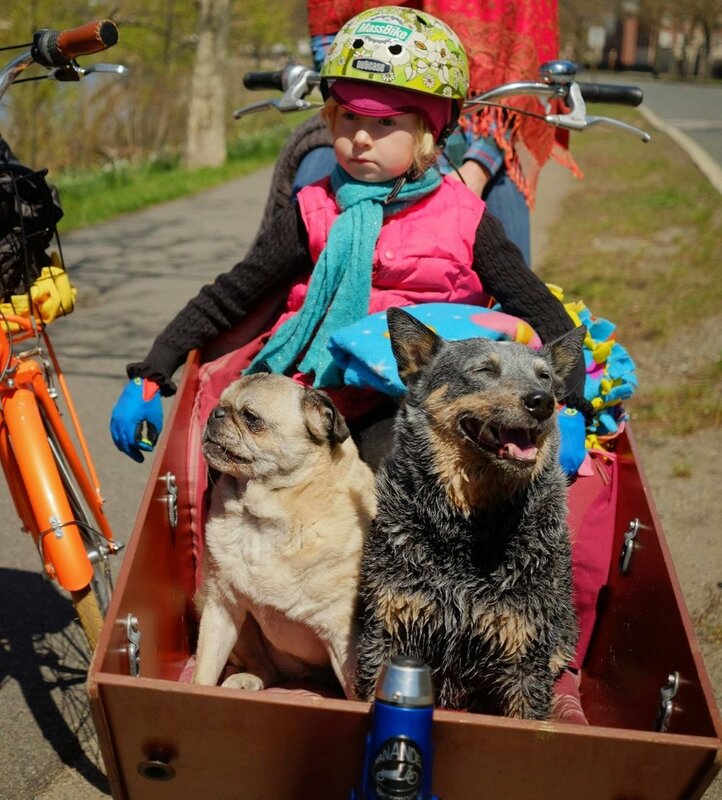 We know that organizing a family bike ride is daunting so that's why we put together this resource guide with a handy dandy chart of best bikes by age. 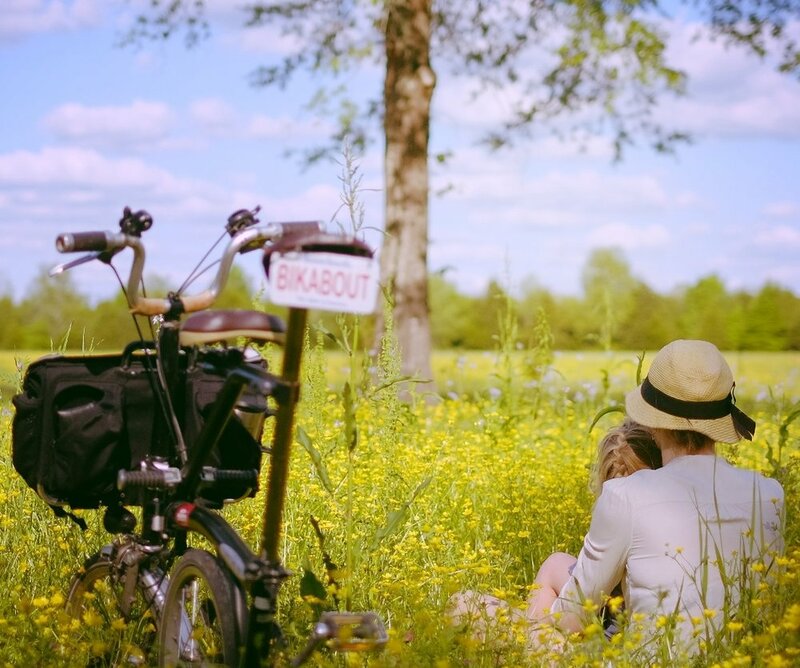 Spouses, no need to get mothers a bouquet a flowers when you can take them on a bike ride to pick some fresh wildflowers. "I don't own a bike" is no longer a barrier when you live in 1 of 30+ North American cities with bike share. May 12th is National Public Gardens day. 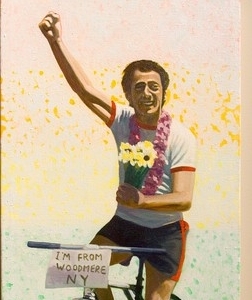 It's almost like whoever claimed May 11 as "Eat What You Want Day" was thinking of people who bike. You have our permission (as long as you're biking everyday), to eat whatever you want. Happy Bike to School Day! 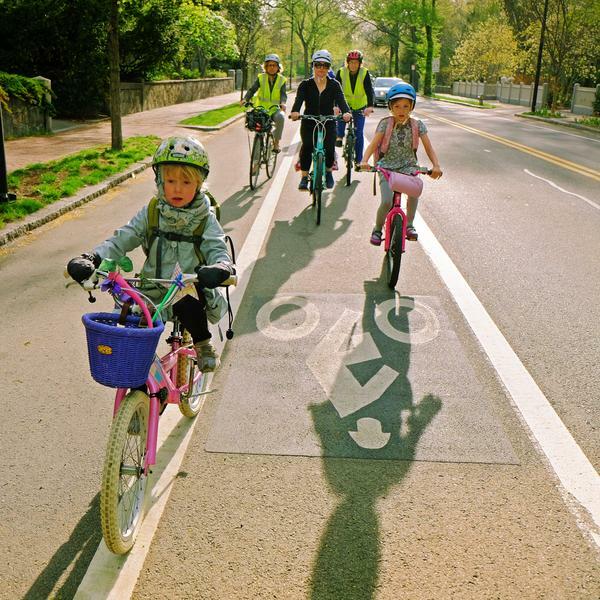 Here's a photo essay of tips to get your kids to school by bike. Washington, DC's National Mall makes the best case for night biking. With good bike lights and a comfortable route away from cars, biking at night is serene. Our favorite cities include Montreal, New York, Washington and Madison. Double kickstands like this one on the Workcycle FR8 make grocery shopping by bike easier. Grocery shopping is a detested errand by most, but with a bike, it becomes a fun challenge and you'll feel so accomplished when you get home. Also, have you noticed how awful it is to park at grocery stores? Never again with primo bike parking right in front. 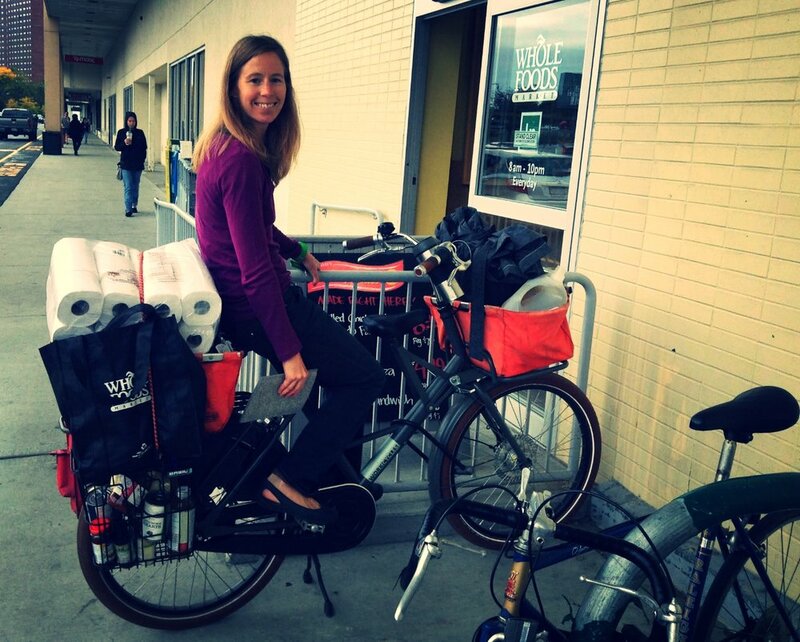 Now if we can just get baggers to understand how to load panniers and bike baskets, we'll be good. Pro tip - get your bike a double kickstand for better stability in loading and unloading. North America is catching onto Europe's theory of playground design, or as we like to call, "playgrounds on steroids". These new playgrounds have taken route in neighborhoods and major city parks, making them the perfect place to bike to with your kids. A simple trip like this will get them very excited about biking. Can't contain the celebration on our first bikepacking experience. Bikepacking, derived from backpacking, is narrowly described as multi-day mountain biking. But, we love to steal romantic bike travel theories and make them approachable to to normal people. With some tips and routes from Bikepacking.com, use whatever panniers, baskets and rack space to pack your minimally for 1 or 2 night trip. For our first trip (photo above), we used our electric bikes to "car camp" at a local park only 5 miles from our house. Our route included an unpaved trail and 2 wine tasting stops. Besides rolling up to beautiful campsite, our favorite part was using our bikes to retrieve left behind camp wire wood at all the empty spots. Taco Boy in Charleston, SC gives people who arrive by bike 2 for 1 Margaritas! In honor of Cinco de Mayo, our theme today is cocktails! Obviously this one requires some responsibility and civility, so just make sure you drink lots of water before partaking and eat! Sipping a cocktail with friends after a short or long ride is bliss. "Seen. Known" by William Massey. 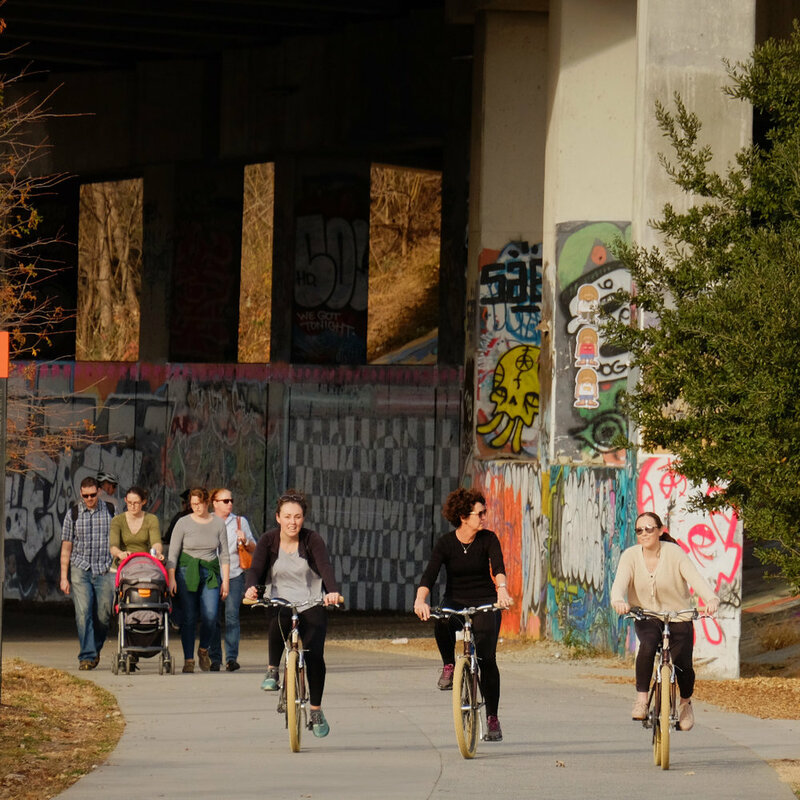 Atlanta Beltline under the Freedom Parkway. 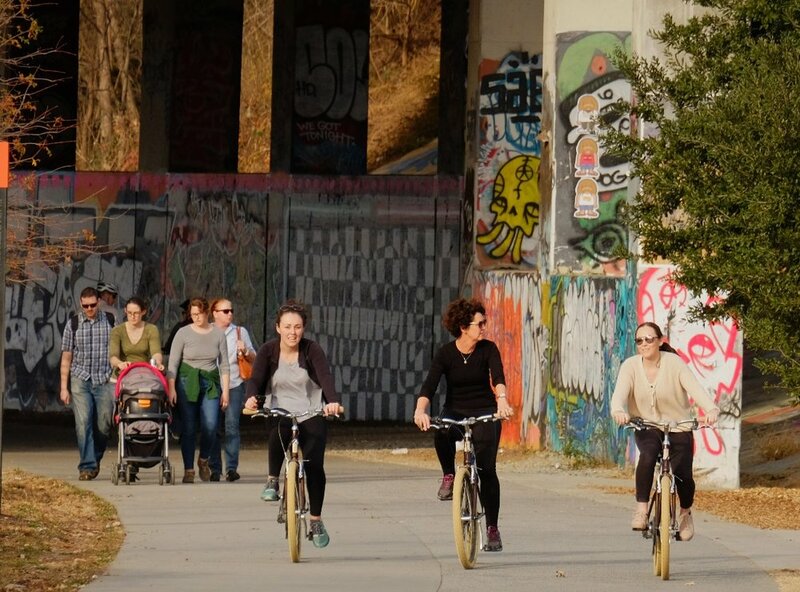 Some of the best art in cities is only discovered by bike (or walking with gusto). We encourage everyone to wander in an off-the-beaten path neighborhood or take an adventure down a dirt path. You never know what you'll find in the nooks and crannies. For the timid, if you google "public art map <city>", usually every city has one. The couple that rides together, stays together. 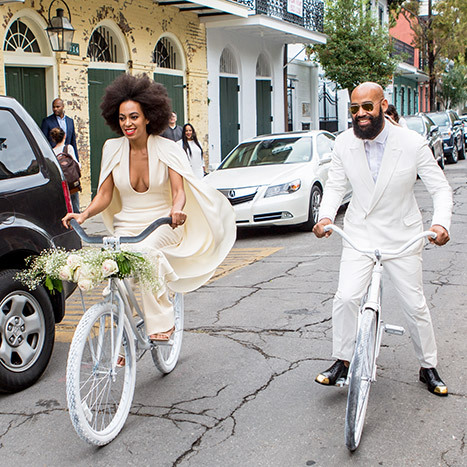 This is our music crush, Solange Knowles, and her husband, Alan Ferguson, leaving their wedding in New Orleans by bike. Tip - Find a route where you can ride side by side. For all you men out there, it's not a race. It's less about making a statement and more about being yourself. 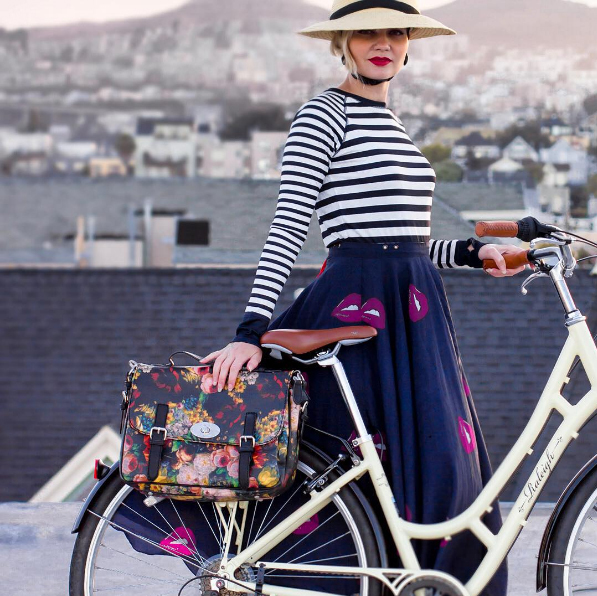 Your bike should let you wear whatever you want, whether it be a long skirt, heals, suit, or <gasp> silk. An upright bike with skirt and chain guards will help you get dressed every morning with nary a worry of your ensemble. When did you start riding? The answer we receive from the majority of folks is, "my friend took me on a ride and I felt like a kid again and wanted to keep feeling that way." So if you're curious, ask a friend to take you for a short, chill ride (under 3 miles) on the weekend. Pretty much all people who bike are really excited about getting their friends on bikes.